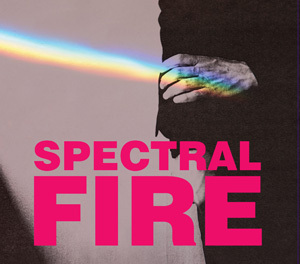 Spectralfire is the debut solo project of Athens-based, musician/songwriter Labis Koundourogiannis also known as the co-founder and lead guitarist for the Greek post punk outfit Modrec. A performance at the Athenian, Small Music Theatre during the 2007 ‘Burnt Festival’, initiated the start of a series of successful performances, such as the 2008 European Music Day, as well as starring as an opening act for the live show of Patrick Duff (Strangelove) along with local band Serpentine. Soundscapes based on a solid electronic platform, wrapped up in synth-washed break-beats, manifesting a warm downtempo feel, are in perfect accordance with the sensuous lyrics which speak of past-midnight erotical confessions, lust and contradiction, taking place somewhere in the city, after dark..
Amazingly shot video for a pure cathartic pop song.